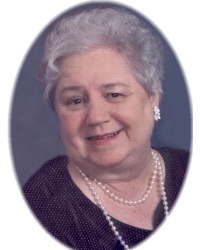 Linda Bowden, age 76 of Hampton, Georgia passed away on Friday, October 19, 2018. She was born on November 5, 1941 in Rocky Mount, NC and was raised in Fitzgerald, GA. After living in Atlanta, GA much of her adult life, she remarried and moved to Calabash, NC to enjoy the beach, salt air, and fresh local seafood. She is preceded in death by her parents, Morgan and Ruth Hardy; her husband, Bruce C. Bowden; brother, Jeff Hardy. Survivors include her sons, Doug Stewart and wife Michelle of Hampton, GA, Joe Stewart and wife Debbie of Dallas, GA; sister, Norma Prescott and Buddy of Fitzgerald, GA; five step-children, Bonnie Miller of Frisco, TX, Diana Guidry and Randy of Cooper City, FL, Robin Floyd and Steve of Fairmount, NC, Vicky White and David of Dacula, GA, Steven Bowden and Carol of Conyers, GA; thirteen grandchildren and ten great-grandchildren along with several cousins, nieces, nephews, and many wonderful friends. A visitation will be held on Tuesday, October 23, 2018 from 5:00 pm until 7:00 pm at Jodeco Road United Methodist Church with a Funeral service to follow at 7:00 p.m. A graveside service will be on Saturday, October 27, 2018 at 2:00 p.m. in the Evergreen Cemetery in Fitzgerald, Georgia. In lieu of flowers the family is asking for donations to The National Stroke Association (www.stroke.org) or the Alzheimer’s Association (www.alz.org).